What a long strange year it’s been. This morning my TimeHop and memories on FB prompted me to share photos of last year’s protest at the MA DPH and state house. I was confronted by images and news stories from that day. I stood at a podium and begged the state to implement a workable medical marijuana program. A program that voters had passed more than 2 years prior but that was still in limbo. I begged for my daughter’s life. I begged for access to the medicine that I believed could be her miracle. I say all the time that cannabis is medicine, I believe that wholeheartedly. But even more than that I say that cannabis represents hope. Hope for those that the medical community has shrugged at and written off. Hope for the hopeless. What I couldn’t say that day because we were banned from talking about it is that Haley was on CBD. 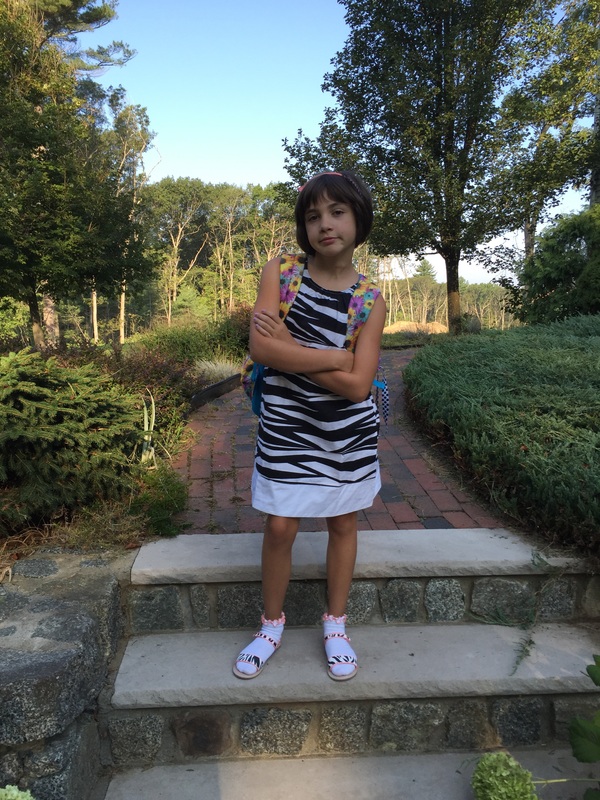 She was enrolled in the Epidiolex trial through MGH in partnership with a pharmaceutical company that is testing a version of cannabis that contains only cbd. What I was muzzled from saying for over the year that we were enrolled in the study was that Haley failed Epidiolex. She failed it miserably. Sure. You can find a few quotes, a Huffington Post Live chat and even a Boston Globe article where I dance around her failure. I focus on the fact that we saw cognitive gains even without seizure control. But every time I publicly discussed Haley’s failure of Epidiolex I would receive a letter from GW/MGH advising me that we were not supposed to publicly disclose our results. But it is clear that our participation agreement for the study has no NDA. And there are many families having success on this form of CBD publicly sharing that success without these undertone of threats. In fact GW Pharma released their own data at the AES conference showing that 50% of study participants saw a reduction in seizures of 50% or more. It stands to reason then that 50% are not. Why censor that class of patients while releasing your own data and allowing supportive propaganda? As the study and year went on Haley’s seizures continued to escalate. She no longer made cognitive gains but stalled where she was- this was STILL an improvement from the regression we had seen prior to CBD treatment. As the school year wound down and nearly a year into the study Haley was in a bad place. 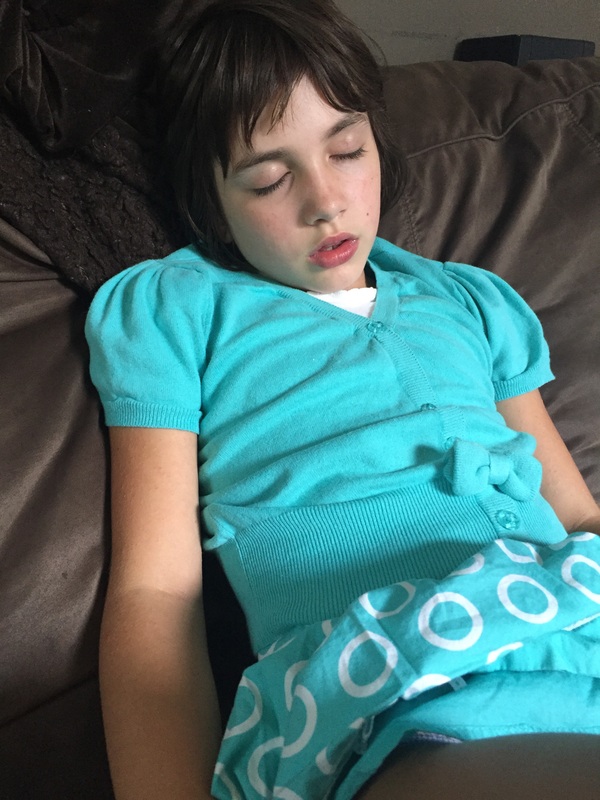 Maxed out on the highest allowable dose of CBD, cognitive regression to the point that she was resorting to gestures and signs because her speech aphasia was so severe and she was averaging 30-50 convulsive seizures daily. She had lost 10% of her body weight and was listless and weak. We made the call to drop the study. Haley napping away a beautiful summer day. Unable to enjoy it because of the seizures assaulting her relentlessly. As we began weaning the Epidiolex we tried a new pharmaceutical Fycompa. It carries with it a black box warning for violent and psychotic thoughts and behavior. Initially Haley was irritable but tolerable. As we increased the dose she became riddled with panic attacks and tantrums. And still seizing. We weaned it rapidly. Another failure. After failing so many pharmaceuticals and VNS not working yet and with the heavy despair of failing CBD weighing on me I thought this might be it. This might be the moment that I have to accept that this is our life. Her life. I wallowed in that heaviness testing the weight of it and drowning in my own despair and failure. But. There was one last pharmaceutical to try. A new one called Aptiom. It is technically contraindicated in Haley’s type of epilepsy but Haley is what our doctor kindly calls a triangle peg, too rare to even be a square. So together with her epileptologist we formulated a conservative dosing titration schedule. When 2 weeks in we saw a 25% reduction in seizures I thought it might be a fluke. When 4 weeks in we saw a 50% reduction I was consumed with fear that this was a honeymoon. 6 weeks in Haley had seen a 90% reduction in seizures, no major side effects and a cognitive awakening that defies all odds I was stunned. In disbelief. But still wary that it may be a honeymoon phase. It has now been 3 months. Haley still has rough days but we are forging ahead with the same determination as always. She is wittier than I ever imagined and so vibrantly discovering the world that was previously just passing her by. I love watching her notice details and make connections that she has missed for years. She is not seizure free. She is still seizing every day. It is still success. A brightness, a vibrance, a sass that has been dulled far too long. For so long I’ve been anxious and afraid to reveal our experience in the study. Afraid that they would discharge her because I felt compelled to be honest that it didn’t work for her. But off the study drug and officially exited… the muzzle is off. I am crippled with guilt that this current seizure control is coming from a pharmaceutical while being grateful that she has this period at all. What I want to say most, the message I really want you to take away, is that Haley failed Epidiolex but she has NOT failed cannabis. There are too many ratios and cannabinoids and terpenes and combinations of them all to say that. But the success with Aptiom has given us a luxury we never had before- the luxury of making decisions that aren’t tinged with desperation and fear. So we are still pursuing Haley’s MMJ card and looking forward to trying additional cannabis products-Our next step will likely be THCA which is raw, cold extracted, and still not psychoactive. And while she is in a much better place than she has been in years, we still aim for better. Cannabis is still hope for Haley. Interesting that they’d put her on a CBD only, new studies show that CBD isn’t as effective alone and paired with THC it makes a huge difference. i’ve read many blogs by parents, like you, who have children riddled with seizures, until they used a high concentrated cannabis oil that includes both THC and CBD. Thank you so much for sharing your journey. Oh mama. I can’t stop crying. You all are FEARLESS. And there is zero shame in using whatever works. I am so proud of you for going wherever it takes you. Sending so much love to your family. Your writings are exquisite and so heart felt it touches a special place in us all. canibis is a gift to many and so vastly misunderstood.